Surprisingly, I made it to work without issue. Most of this A's last 40 years have been spent in the back of a garage. 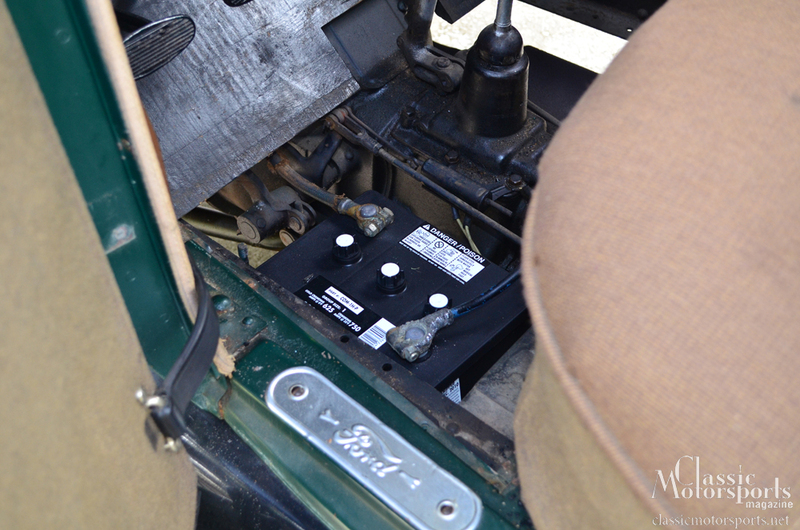 The battery weighs about as much as a Spitfire and lives under the floor boards. Yes, I said "boards;" they are wooden planks. When you have 24 antique cars and motorcycles, it’s easy for one or two to fall through the cracks. This 1929 Ford Model A Special Coupe did just that, and has had barely 100 miles put on it since its restoration in the 1970s. For 40 years, it was driven once a year in the local parade, then parked. Each Thanksgiving brought about a day of cleaning the carburetor, airing up the tires, and checking the electrical system. I’m a 19-year-old kid named Tom, and my goal is to change this pattern. My great-grandfather sold this car new at his Ford dealership in 1929, and I’m now going to try to use it as my daily driver. Surprisingly, my dad okay’d this stupid idea. So I went right to work digging the Model A out of the garage. I hopped in, turned the key, put my foot on the starter (more on the controls later), and gave it a go. Not surprisingly, I was met with nothing. However, after hooking up the jump-box the A fired right up. I checked the fluids and tire pressures, then headed off to work. My commute isn’t particularly long, at about 12 miles. But I wouldn’t make it without getting gas, at least according to the gauge. So I pulled into the gas station and filled it up, to the tune of 3.5 gallons. The A has a 10-gallon tank in the cowl, so my guess is the fuel float has sunk. Meh. No gas gauge is standard operating procedure for someone in the Suddard family. I drove to work, running a few errands along the way. And, surprisingly, I made it. The A cruised down the road at 50 mph without issues, giving me much more confidence in this stupid idea than I have any right to have. 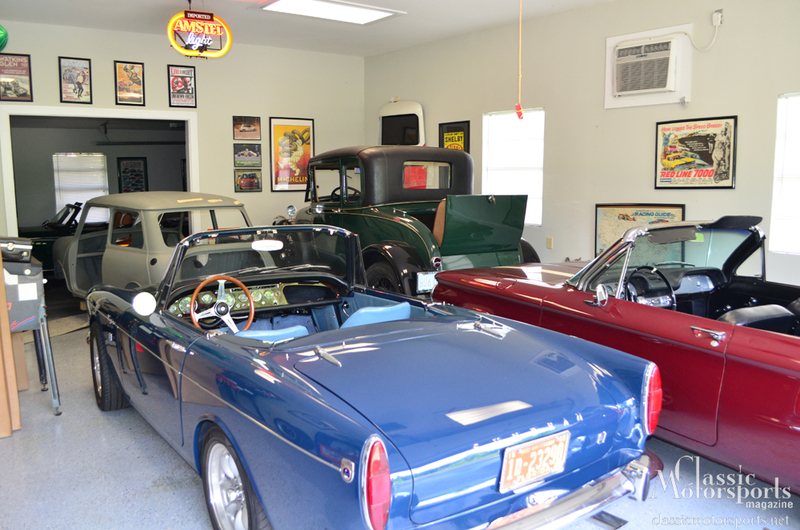 When you have 24 antique cars and motorcycles, it's easy for one or two to fall through the cracks. 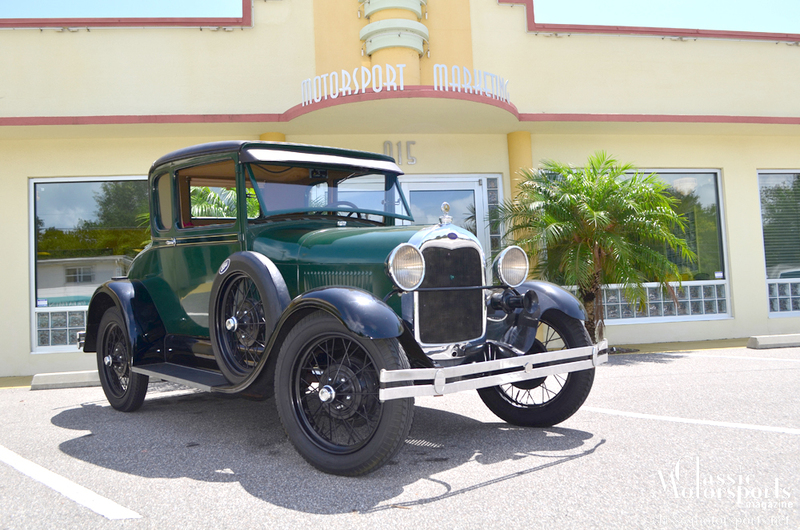 This 1929 Ford Model A Special Coupe did just that, and has had barely 100 miles put on it since its restoration in the 1970s. For 40 years, it was driven once a year in the local parade, then parked. Each Thanksgiving brought about a day of cleaning the carburetor, airing up the tires, and checking the electrical system. I'm a 19-year-old kid named Tom, and my goal is to change this pattern. My great-grandfather sold this car new at his Ford dealership in 1929, and I'm now going to try to use it as my daily driver. Surprisingly, my dad okay'd this stupid idea. So I went right to work digging the Model A out of the garage. My commute isn't particularly long, at about 12 miles. But I wouldn't make it without getting gas, at least according to the gauge. So I pulled into the gas station and filled it up, to the tune of 3.5 gallons. The A has a 10-gallon tank in the cowl, so my guess is the fuel float has sunk. Nope, not yet. I am investigating a bike rack, though. loving this project. Pre-war cars are great. You should do very well! A's are shockingly dependable. I just hope that some time the brake system was converted to hydraulic! Nope, everything is bone stock. The brakes are surprisingly not terrible, actually.